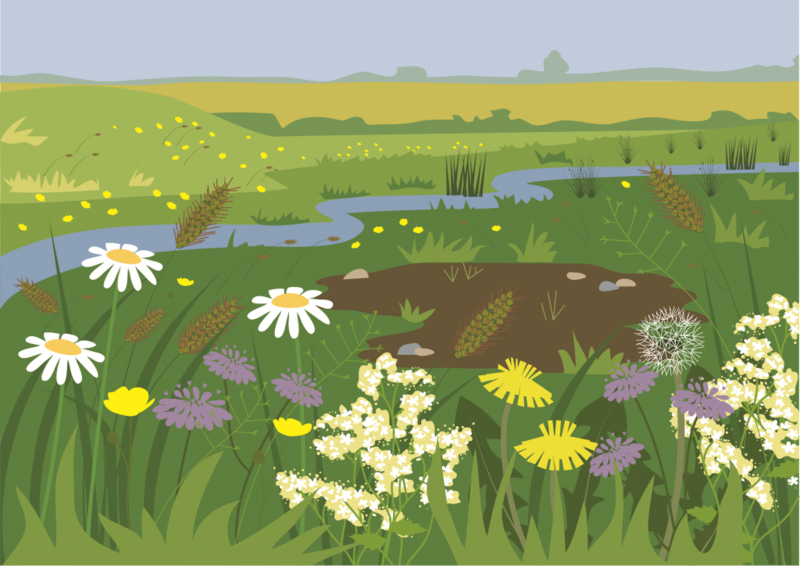 Irthlingborough Lakes and Meadows contains a mixture of damp and dry grassland and supports a huge number of species. In summer, butterflies such as ringlet and common blue can be seen feeding on the wildflowers, whilst ground nesting birds, including skylark, lay their eggs amongst the grasses. To reduce the chances of these eggs being predated, electricity pylons, which can act as lookout spots for predators, have been removed and areas have been fenced off to decrease disturbance. In winter, flocks of grazing geese and widgeon feed on the short grass whilst lapwing hunt for insects in the mud. In order to maintain plant diversity, the grassland is either grazed or topped with a machine. This prevents any one species becoming dominant and encourages the growth of wild flowers such as cuckooflower, great burnet and buttercups. It also helps to improve the structure of the grassland for invertebrates.